With the hosts on a 2-3 record and the away team with a 1-4 record in the Euroleague so far, both teams know that they need to win this game. Both teams have struggled to score this season although this game may represent either team’s best chance to get some points on the board and push forward in the hope of grabbing a Top 16 place. The hosts know that a win gives them a 3-3 record and this could well be the sort of ratio that sees them into the Top 16 without too much stress and effort. One player who will be going all out to grab this win will be Paulius Jankunas. He only needs to grab three more 3 point efforts to reach the grand total of 100 centuries for his Euroleague career. Brock Motum had an excellent game in the season opener against Zielona Gora, but he has been off the boil lately. This could be just the game to recapture his form. The Polish champions are toiling and are still looking for their first road win of the campaign. This game represents a chance to do so but there will need to be a big improvement in their form and shooting. One player that has been decent for the Polish side is Vlad Moldoveanu. Moldoveanu has grabbed at least 1 three point shot in his last 7 games and he’ll need to grab a few on Thursday night to ensure Gora have a chance of grabbing a big win which could revitalise their season. 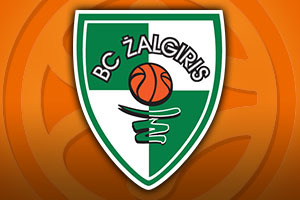 It’s a tough game but if the away team don’t start winning, their Euroleague season will be over before it has really begun. Kaunas are well favoured by the bookmakers and it is hard to argue with this logic. 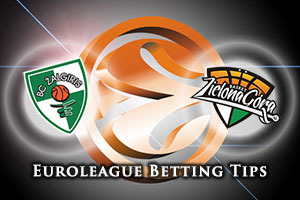 Take Zalgiris Kaunas at -8, at odds of 1.90, and you should have plenty to look forward to on Thursday evening. With respect to the Over/Under market, look to go OVER 142.0 at odds of 1.90. Bet Now!